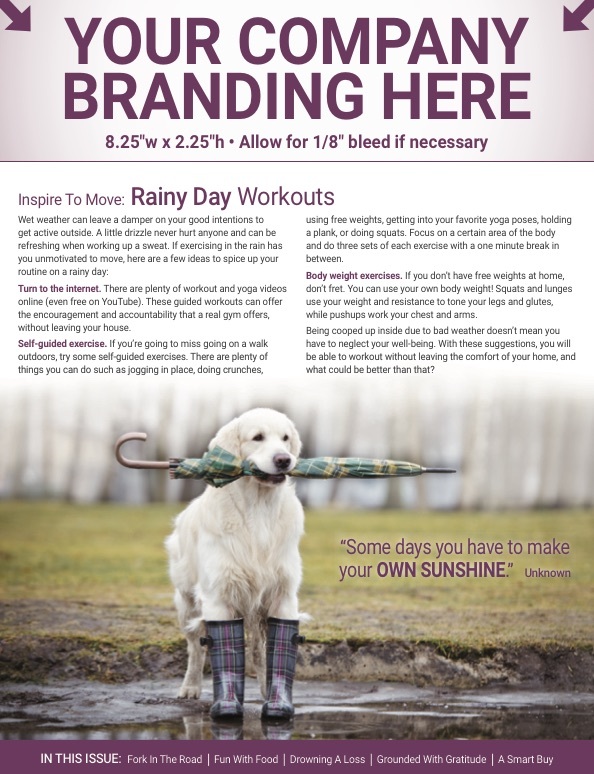 Our Wellness Newsletter Campaigns - The Key To Your Success! 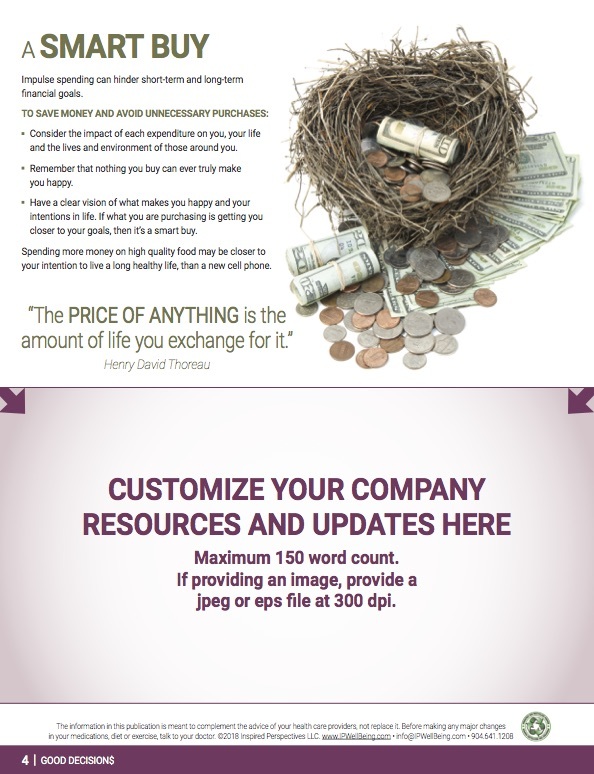 Communication Centerpiece For Your Successful Program Integrate all your content into one dynamic communication. 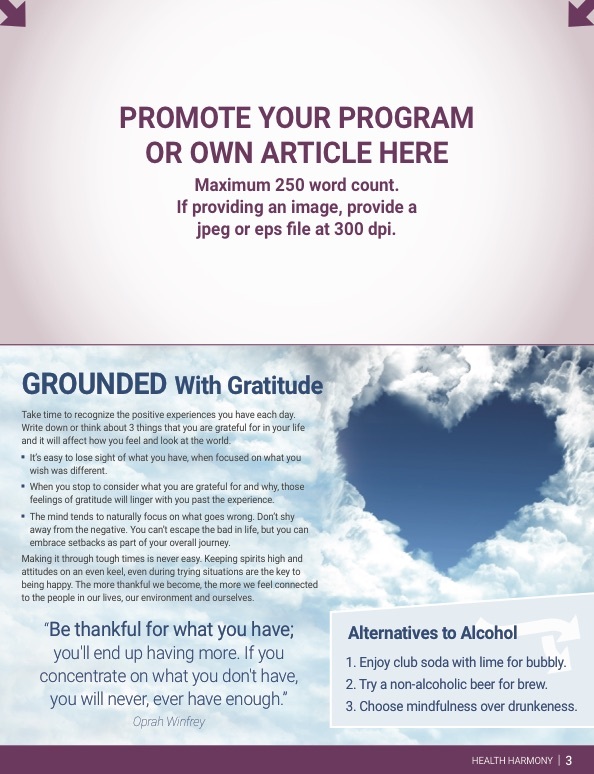 Promote well-being as a successful marketing campaign! – Available in any combination of ELECTRONIC or PRINT formats. – Condensed easy-to-read articles about topics that matter. – Relevant topics with meaningful messaging that inspire action. – Attractive graphics to trigger curiosity and interest. DOWNLOAD the 2019 Customization Submission Schedule! 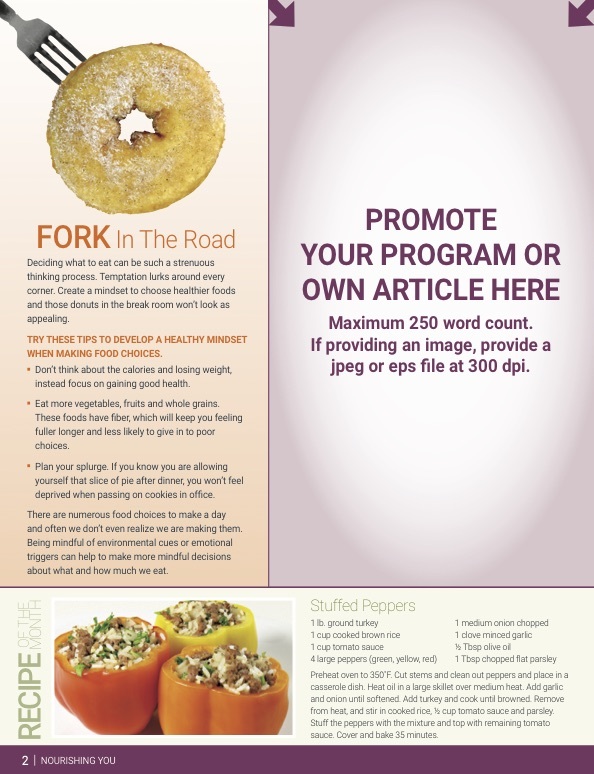 Clients who promote wellness challenges and portal through the newsletter have 80% more engagement. *Bulk shipping and individual mailing options available.